Baking from scratch can feel intimidating as there are a lot of rules and techniques to learn. 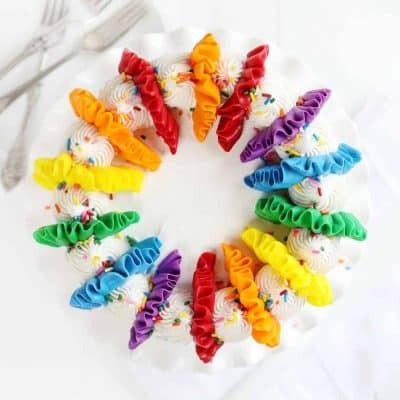 But from scratch baking can feel so much more approachable by keeping a few simple things in mind! 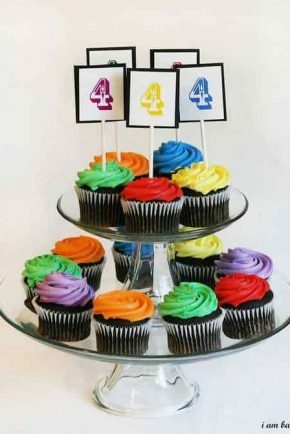 Here are 5 ideas that can make your from-scratch baking a lovely experience! 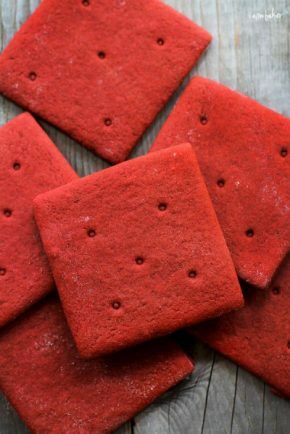 Looking for the best Cookie Recipes in the world? Check here! 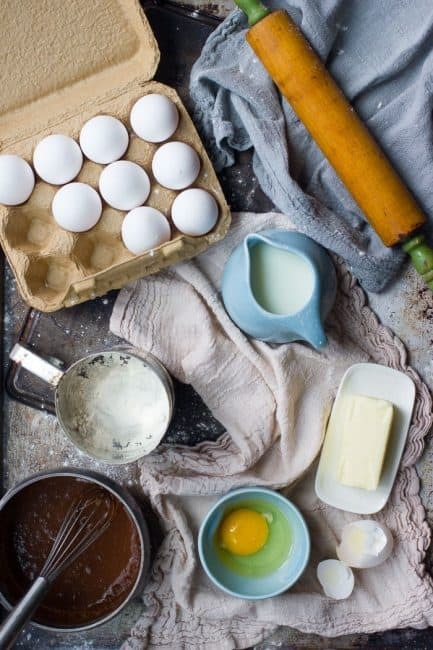 Ever wondered how to bake from scratch? 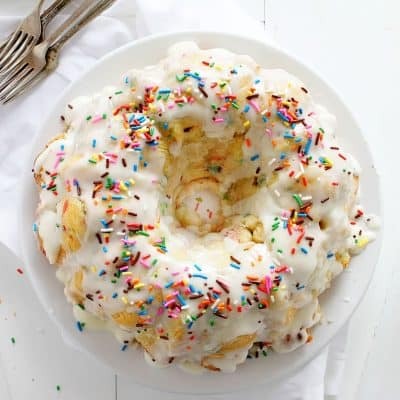 Or how to bake a cake from scratch? Or how to make homemade bread? 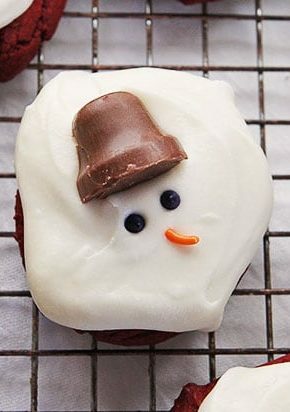 Or how to customize your favorite cookie recipe? If you understand the basics to baking from scratch, you will soon be known as “the” baker in the family! Measuring your ingredients properly is key to successful from scratch baking. There are two basic ways to measure ingredients for baking: by volume and by weight. Measuring ingredients by weight is by far the most accurate way to measure for baking. 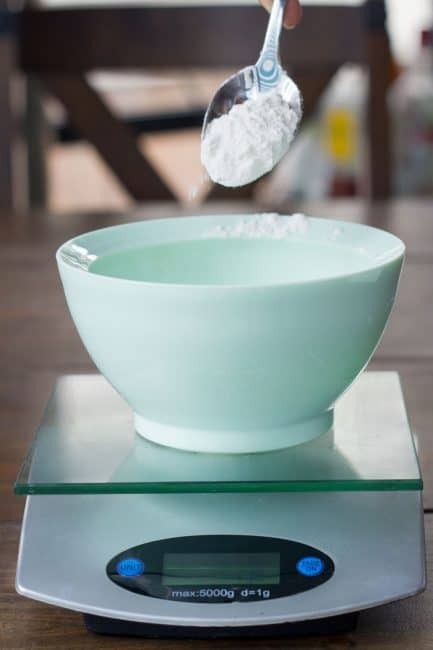 A kitchen scale (this scale is for advanced home bakers) is a relatively small investment that adds huge value to baking from scratch. You will also likely learn to love the fact that you don’t have to constantly track down and dirty up your measuring cups when measuring this way! Note: Gram, kilogram, ounce, and pound are all units of weight measurements. Measuring ingredients by volume means that the ingredient is measured by the amount of space it takes up, instead of by how much it weighs. There are two kinds of tools used to measure ingredients by volume: dry measuring cups and liquid measuring cups. While these two measuring cups are equal in the amount of volume they measure, the way the cups are designed to function differently. 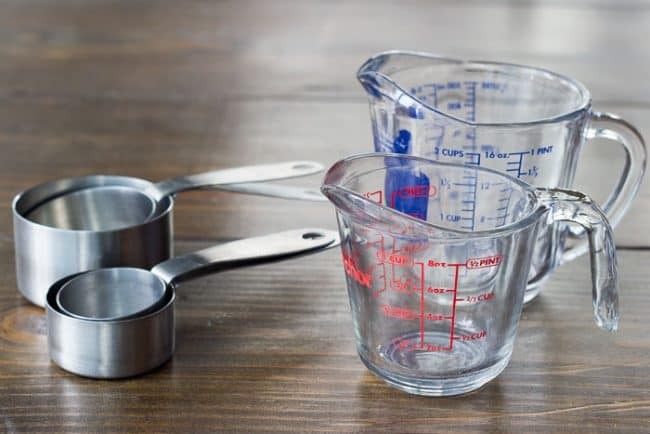 Ingredients are measured most accurately when wet ingredients are measured in liquid measuring cups and dry ingredients are measured in dry measuring cups. When measuring dry ingredients by volume, fill the measuring cup until it is overflowing, then use a knife to level off the top. 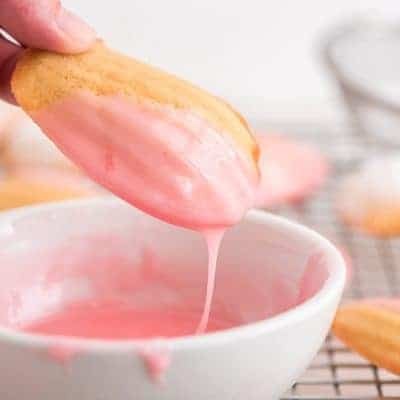 It is important that powdery dry ingredients such as flour, cornstarch, powdered sugar, and cocoa powder are not packed down into the measuring cup, rather they should be lightly spooned into the cups. When measuring brown sugar, lightly pack it down into the measuring cup before leveling off. Note: Teaspoon, tablespoon, cup, pint, quart, gallon, fluid ounce, milliliter, and liter are all units of volume measurements. One of the most common baking questions is “does the temperature of my ingredients really matter?” The answer is a resounding “yes”! Paying attention to detail, such as the temperature of ingredients, truly elevates from scratch baking. Recipes, in general, should specify when it is important for an ingredient to be a specific temperature. However, sometimes recipes assume that the baker knows a few general rules about baking ingredient temperatures. 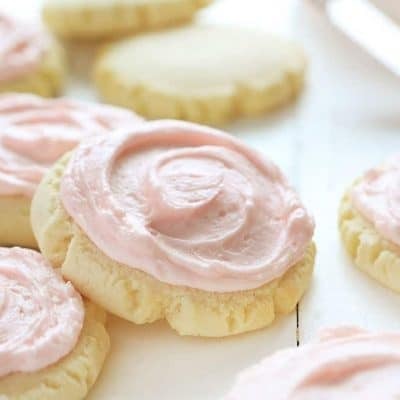 When making a recipe that starts with creaming butter and sugar together, like in buttercream frosting or most cookie recipes, the ingredients should be at room temperature. This ensures the emulsification of butter and sugar won’t break. 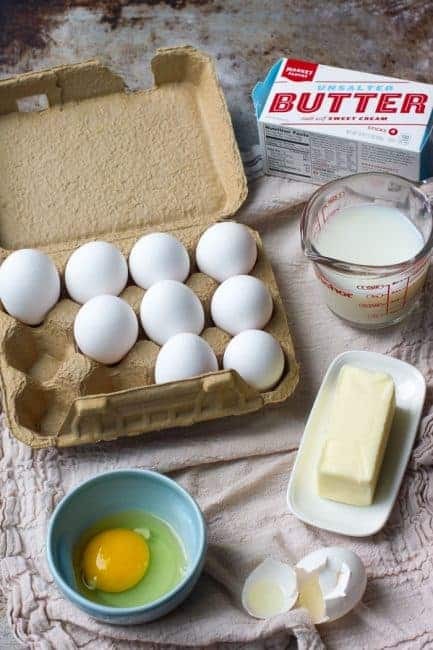 When making a recipe that starts with cutting fat throughout the flour, for example in butter biscuits or pie crust, the ingredients should be very cold. This creates steam in the oven producing air pockets and flakiness. Heavy cream needs to be cold in order to thicken into whipped cream. Egg whites form stiff peaks for meringue much quicker when at room temperature or slightly warm. 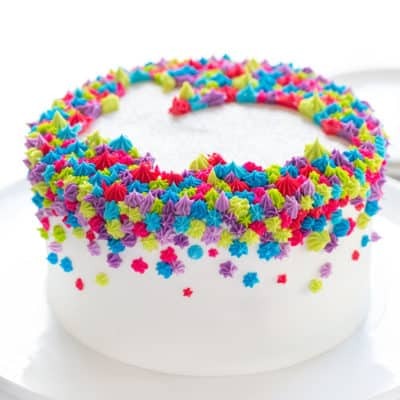 Water should be warm (around 110 F) when making yeast bread, like this Hearth Bread with Rainbow Sprinkles. This wakes up the yeast from its dormant state. You may have noticed that nearly all baking recipes include salt. This is because salt is such a key ingredient when making sweet treats and it should not be left out. 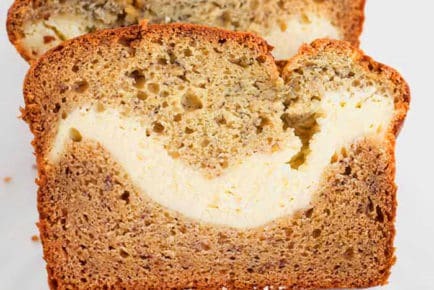 Truly great baked goods utilize salt to balance and enhance the flavors. A baked good lacking salt will taste flat, one-note, and overly sweet. Additionally, salt works to strengthen the gluten structure and control the rate of fermentation in yeast breads. 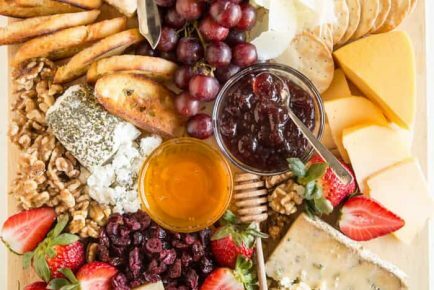 Mise en place is a culinary term that means “everything in its place.” The concept of mise en place in baking encompasses a whole mindset of being prepared before you start combining your ingredients. Read your recipe through fully and thoroughly. Make sure you understand the process and the timing of the recipe. Look up any baking terms used that you do not understand. Gather any equipment and baking tools you will need for the recipe. Preheat your oven and prep any pans, if applicable. Measure out all of your ingredients before you begin combining them. This way you will not accidentally leave out an ingredient or get halfway through the recipe and realize you are missing an ingredient. Baking gets a bad rap for being too strict and sciency in its approach. 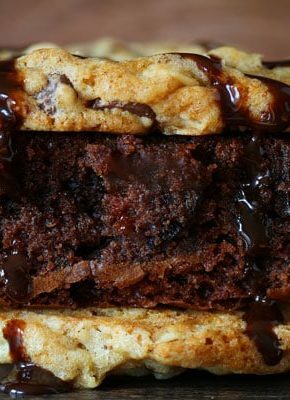 However, as long as the structural ingredients are kept intact, baking recipes are templates for endless creativity in flavor combinations! 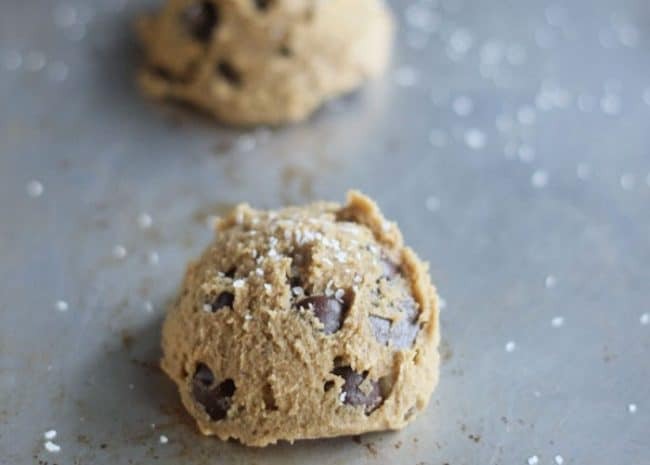 Love the texture of a chewy chocolate chip cookie? Swap out the chocolate chips for dried cherries and white chocolate chips for a new favorite cookie combination! Obsessed with a blueberry lemon cake? 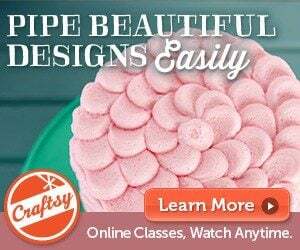 Why not use it as a template for a raspberry orange cake? The possibilities are truly endless! 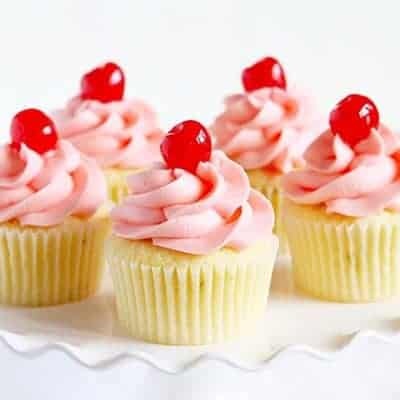 As with any skill, the more you bake the more comfortable you will become at making things from scratch. But baking mistakes will happen! 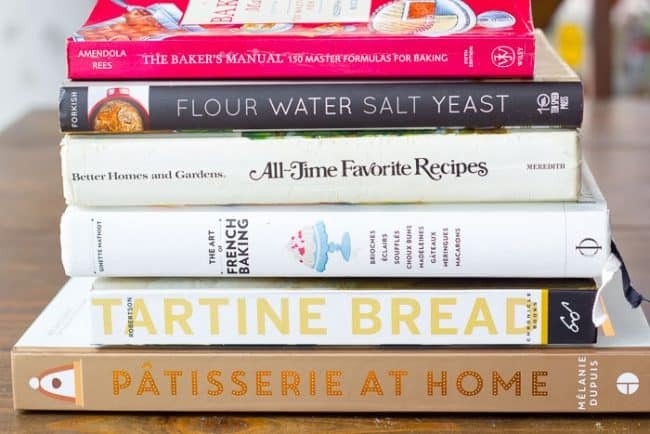 It’s how you learn in the kitchen and the best way to become a better baker! 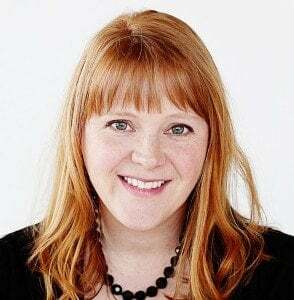 Find out more about baking science and techniques over on Baker Bettie! I am so glad that you posted this. I see so many YouTube and other cooks using liquid measuring cups for their dry ingredients, and sometimes vice versa. It is so important to use the right measuring cups. I appreciate this information being shared. So many have these very same questions, it’s important to address them. Way to go! 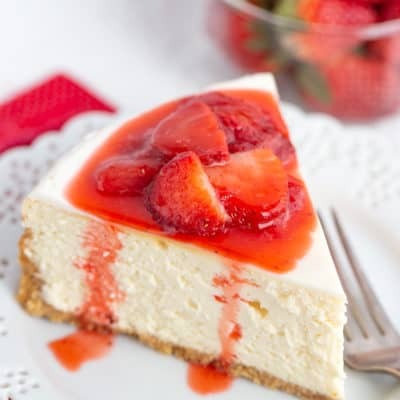 I would like to convert my recipes that call for measuring by volume to measuring by weight. How much should a cup of flour or a cup of sugar weigh? I am so excited to try your scrumptious looking recipes. I also like the information and baking tips you provide. Thank you! Yes, you can blend Splenda with a little cornstarch in a blender to make it sugar free! I found the recipe on the Splenda website I believe although I haven’t used it much yet. Thank you so much. Even though I have been baking for years, I like the clear way you explained the important aspects of baking. I especially appreciated the information about how flour should not be packed down. I look forward to seeing more of your recipes. 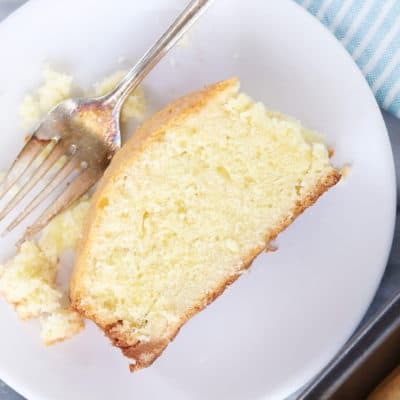 I made your cream cheese pound cake,and it was a hit,it was so delicious it was gone in three days.that was the fastest that a cake was eaten in my house. Thank you much for expertise and for the information. 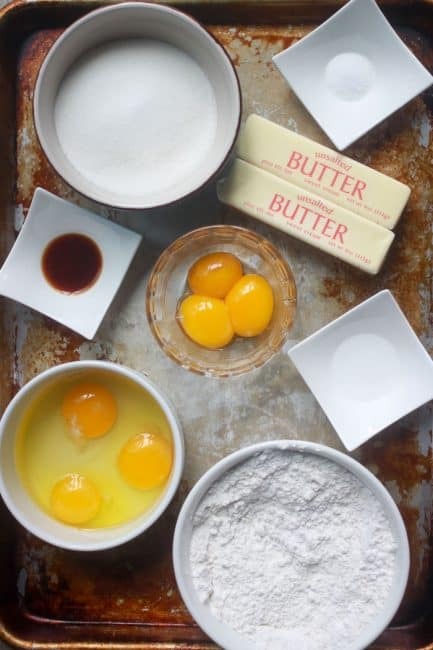 Is there any way I can send this “Mise en Place” for baking to my own email, so, I can learn to practice it when I’m baking? Thank you very much! Thank you for the awesome recipes and ideas. I love your tips, thank you so much for sharing. Love your recipes too.